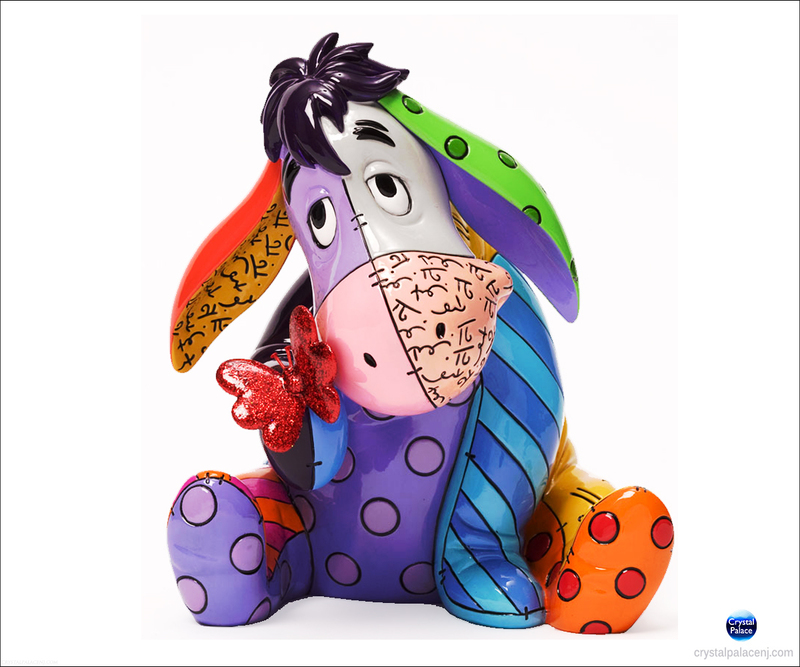 Gloomy Eeyore gets the Pop Art treatment of artist Romero Britto. Bursting with bright, bold colors Eeyore makes friends with a diamond dusted red glitter butterfly. 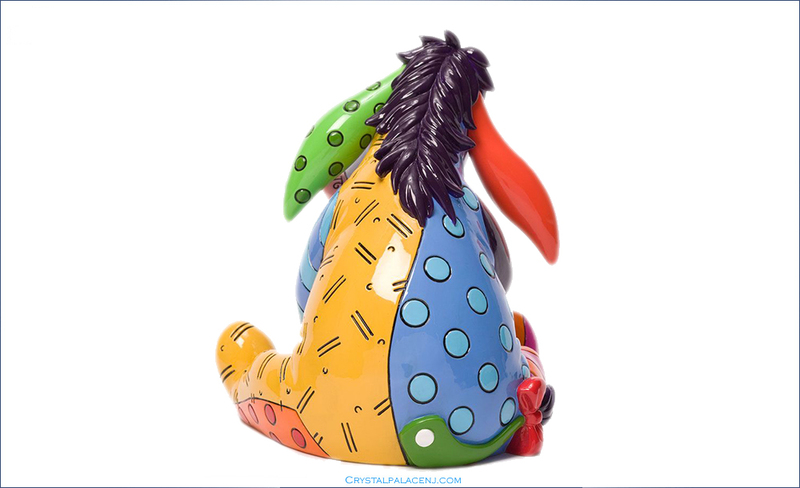 Eeyore goes pop art with this colorful rendition by pop sensation Romero Britto.